Your home should be a sweet haven right? Well not so much, if you only view it as pad, with no warmth to entice you into going back at the end of a stressful day. It requires less effort to create the perfect living room with little touches of color, art, and space. A beautiful interior is not rocket science and does not require extravagant expenditure to decorate and design. The living room brings out your taste and character at a glance and so having a modern or traditional design, a crowded, subtle or mixed combination almost depict your personality. Small or large living rooms can never go wrong with furniture for visual weight, and you can pick from a variety of Windsor chairs for sale that suits your preference. If you have a small space, then you need furniture that doesn’t overpower the room, constrict the area and obstruct the room. Furniture that does not take up much space like armless seats or glass coffee tables, create the illusion of ample space. Large spaces, on the other hand, will require furniture that is heavyweight in appearance like wooden coffee tables that take up too much space to fill the space but at the same time add softness. Colors play a major role in setting the mood for your guests. Choose a color that resonates well with your personality and one that will energize or relax the space. White gives a cool, peaceful and calm feel while a soft purple underfoot rug warms the living room. 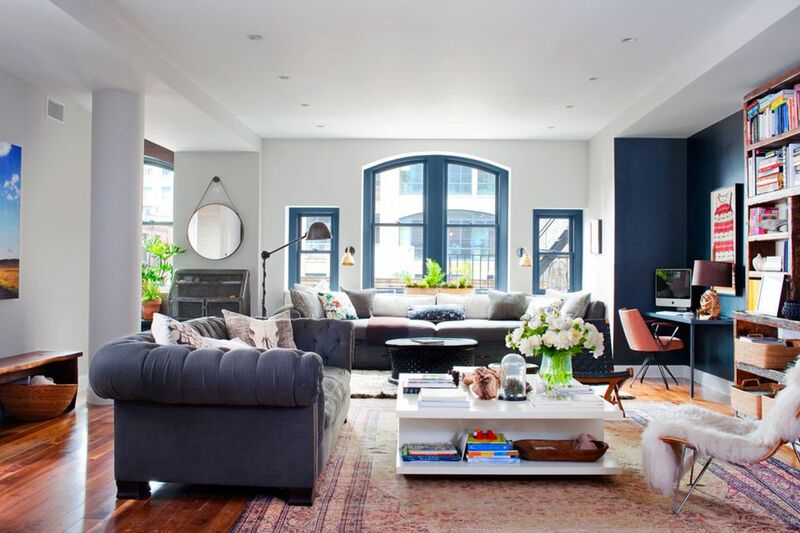 You can play around with colors and mix them up in a fun and chic way to bring contrast and pomp into your living room. Trim work portrays the aesthetic beauty of your space and helps to give your home a distinctive outlook, whether, contemporary, regional or classical. Trimwork works best with wood and plaster to retain the authenticity of historic homes. 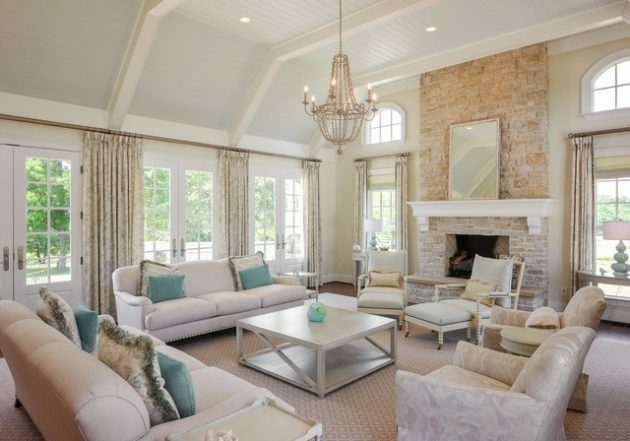 This architectural design provides passageways, walls, and stairways that enhance character and beauty of homes making the living room warm and inviting. It is essential to have proper lighting to create an atmosphere of warmth, enhance the mood and illuminate the living space. Natural light is a plus because it creates a perfect ambiance and connects the living room to nature giving a feel of divine lighting. Energy bulbs warm up the space, and use of chandeliers provide excellent illumination that creates perceived aesthetic appeal. Living rooms come to life with a collection of different pieces of art that elevate the room and communicate elegance. Wall hangings that are well-placed draw attention to the space without competing for attention with other items at the focal point like television. Beautiful and stunning art pieces give the illusion of a perfect living room making it an exotic, comfortable and inviting place to enjoy with friends and family. Your idea of a perfect living room will depend on your personality because how you decide to design the space will tell a story. Let the design of your home be an inspiration and definition of love, comfort and all beautiful expressions the living room can curate on your behalf.